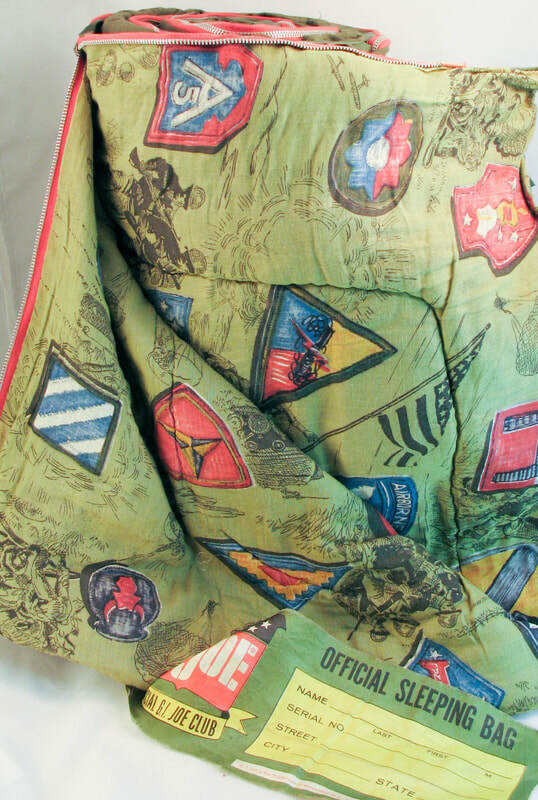 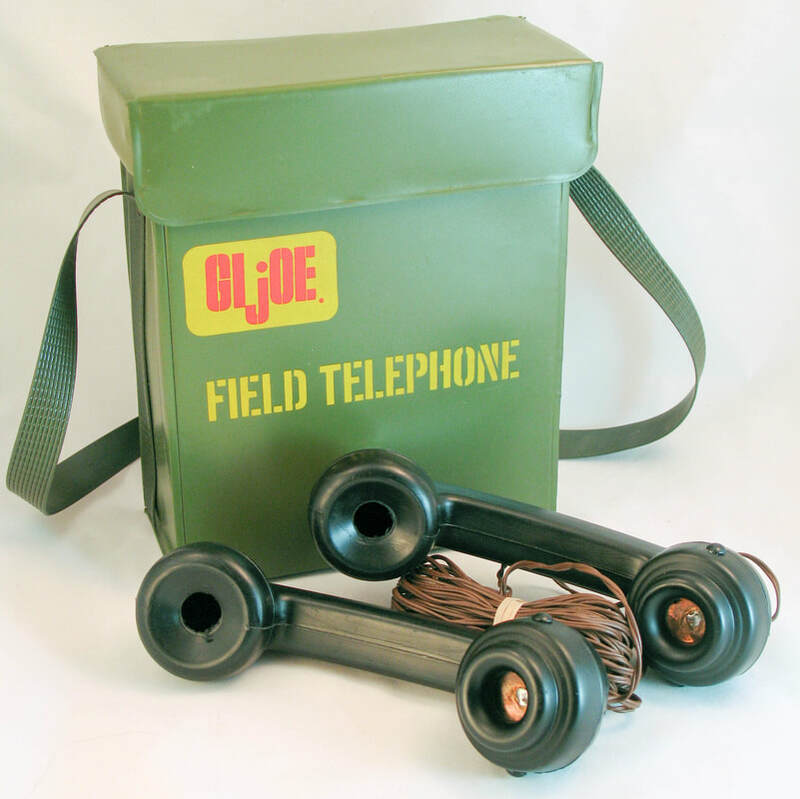 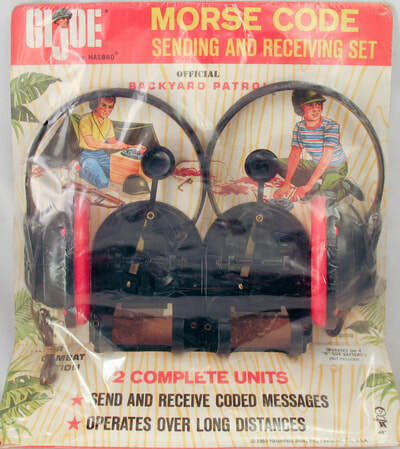 Perhaps because of licensing requests, Hasbro made a decision early-on to market their own line of kid-sized GI Joe products that they called 'Backyard Patrol.' 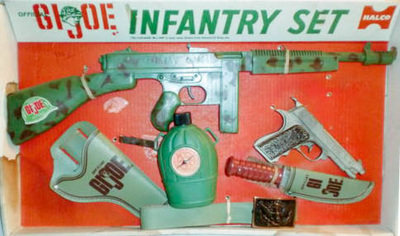 This section will be devoted to that line and other licensed kid-sized toys. If you have ones you would like to share, especially packaged items not shown, please contact me! Each gallery image can be clicked to enlarge. Photo credit for individual items are with each caption, A BIG thank you to Jerry Knapp and Chris Short for sharing the bulk of these items. 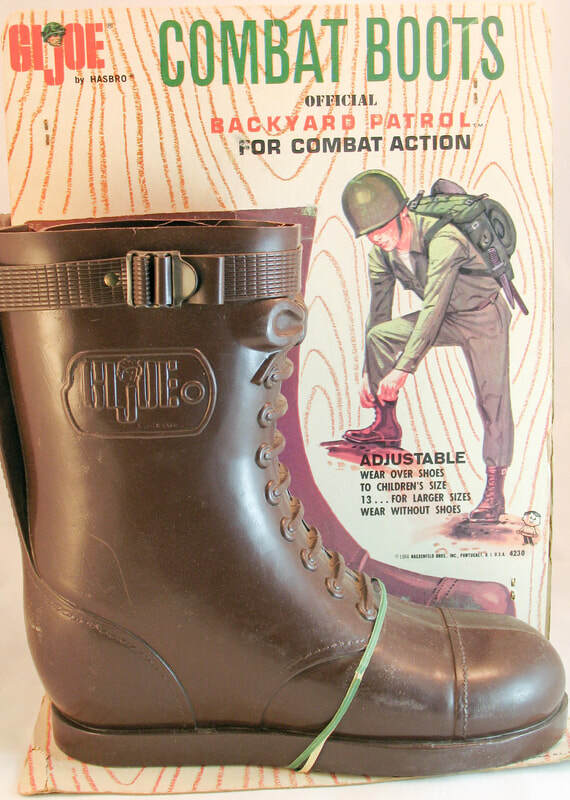 Above, the iconic GI Joe Combat boot blown up to a kids overshoe for Backyard Patrol action! 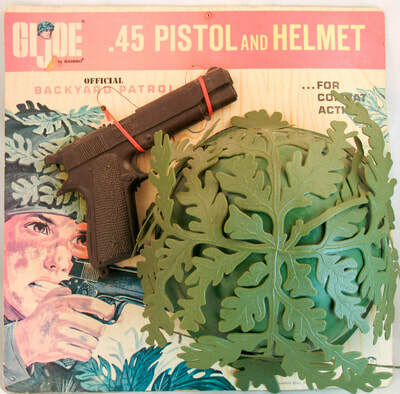 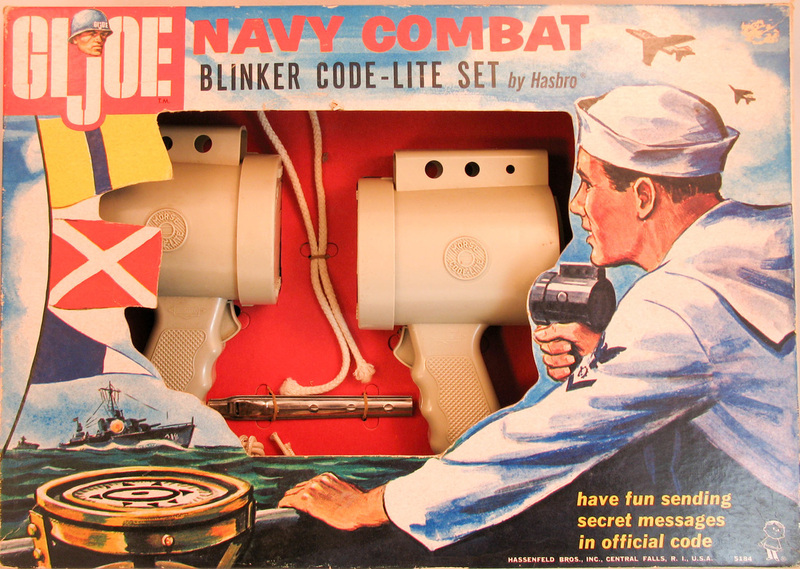 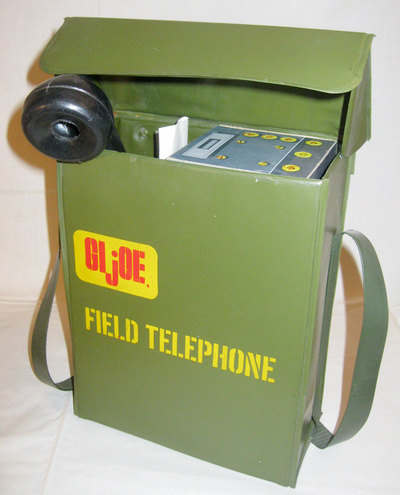 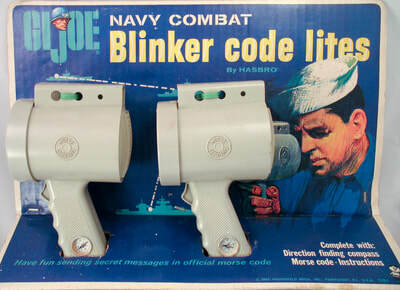 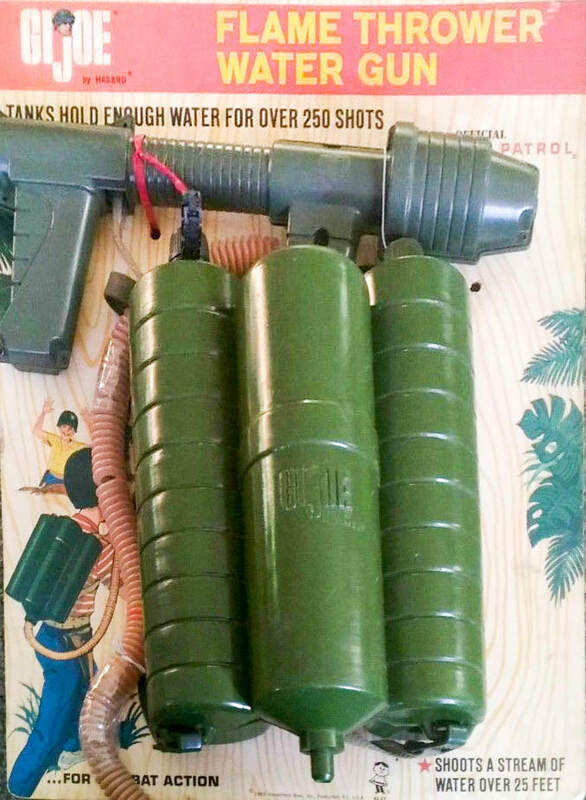 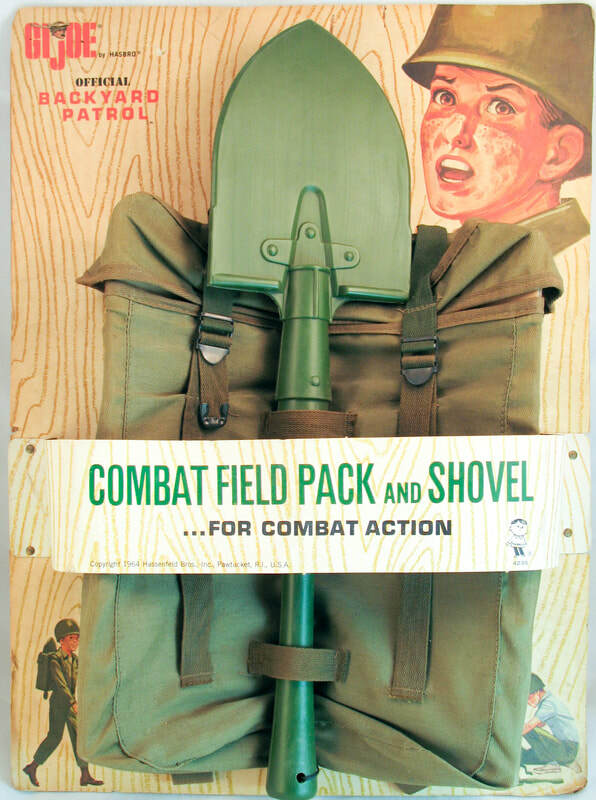 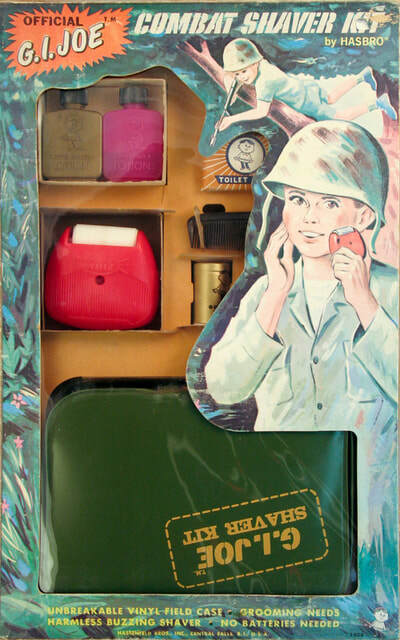 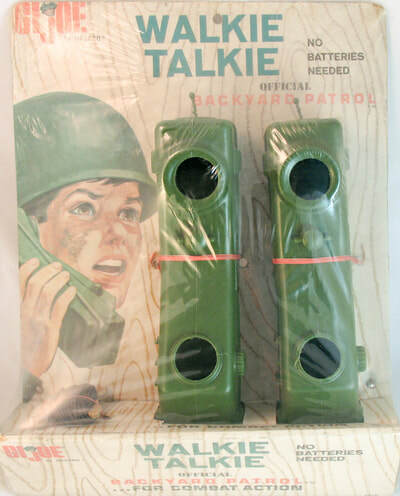 Backyard Patrol was Hasbro's answer to kid-sized military toys that were already popular in the 1960s. 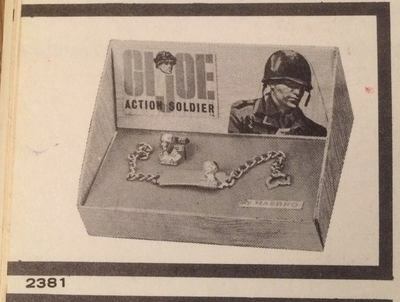 Lines like Remco's Monkey Division, and manufacturers like Marx and Mattel were already in the game, so Hasbro capitalized on war play and it's increasingly popular brand. A number of items, like the kid sized helmet look to be direct knock-offs of Remco product. 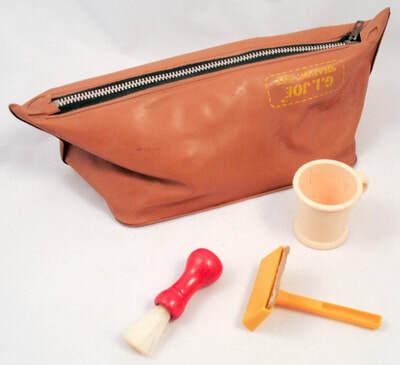 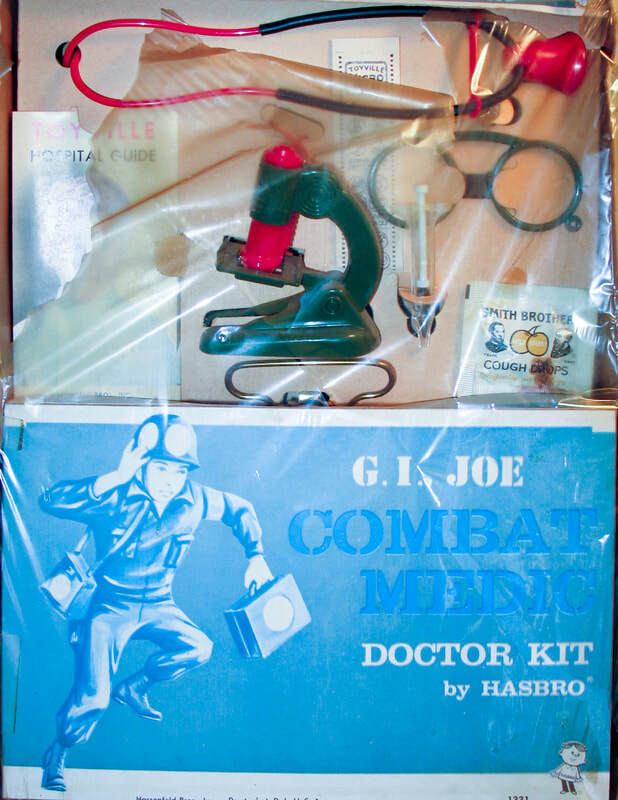 There are more items out there, and several packages are not shown, so if you can provide examples of these toys, email Vintage3DJoes. Click images below to see larger versions! 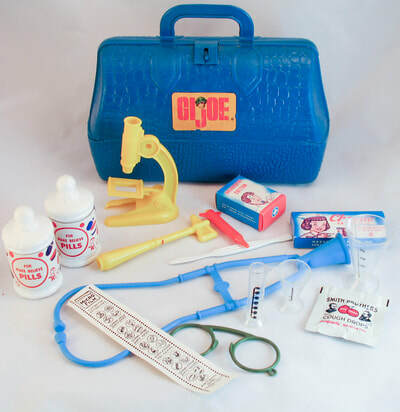 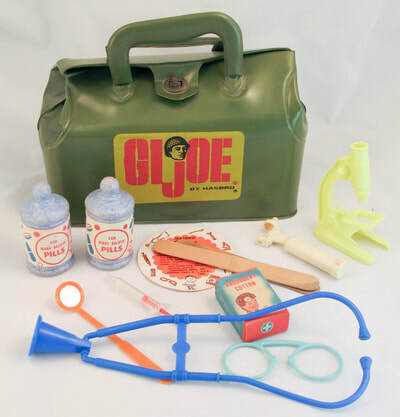 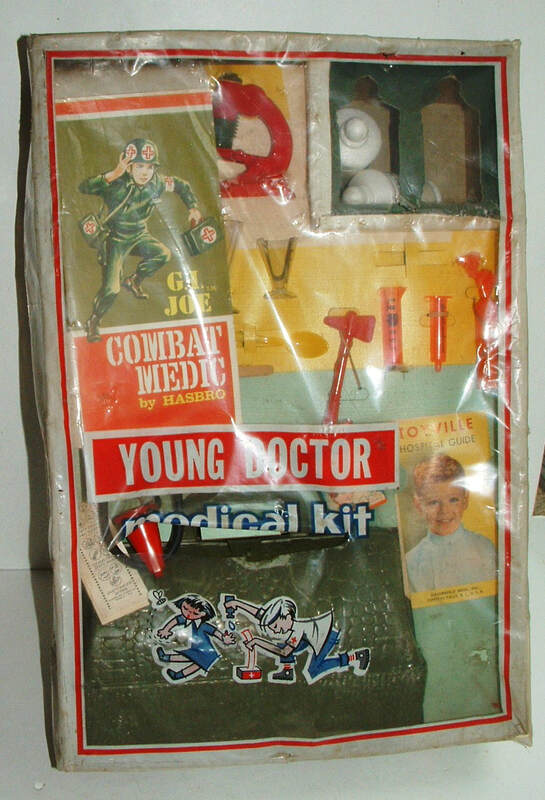 Hasbro made dozens of variations of kids doctor set before Joe was in the picture, so it was natural to add the new logo to the picture. 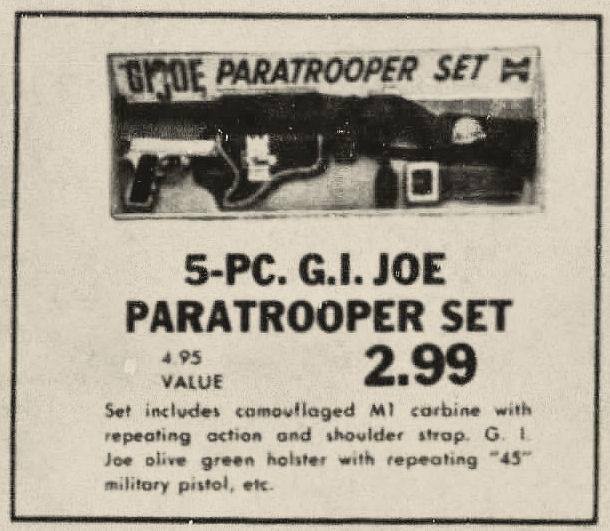 Perhaps the cheapest shot at GI Joe branding is the blue set below where the sticker from the footlocker was applied to an existing set. 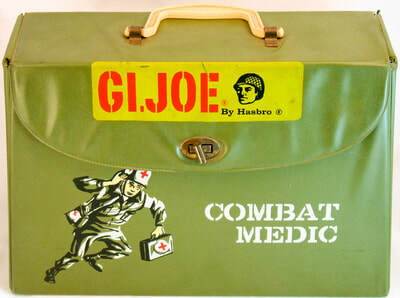 The Combat Medic set has an inexpensive cardboard case, while the Cadillac is the green vinyl bag. 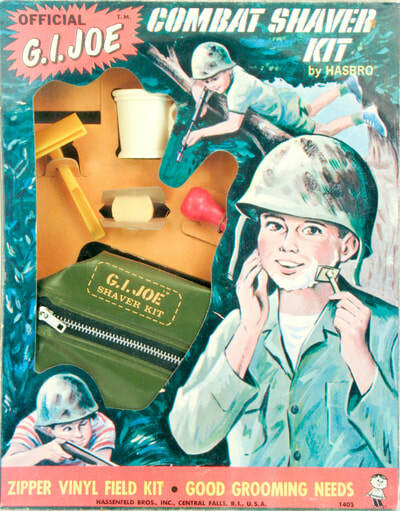 Click images below to see larger versions! 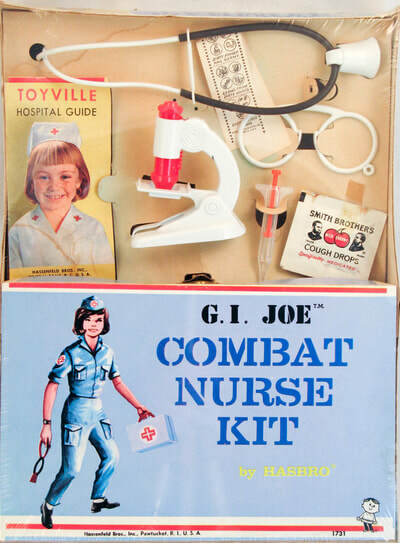 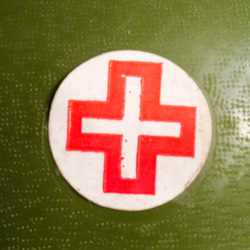 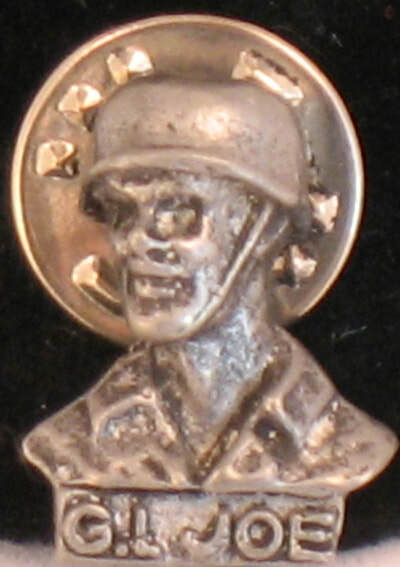 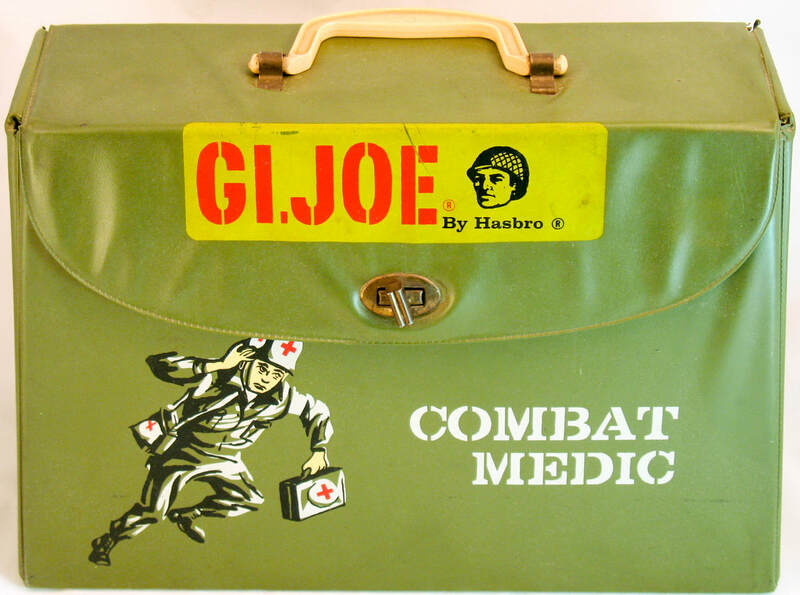 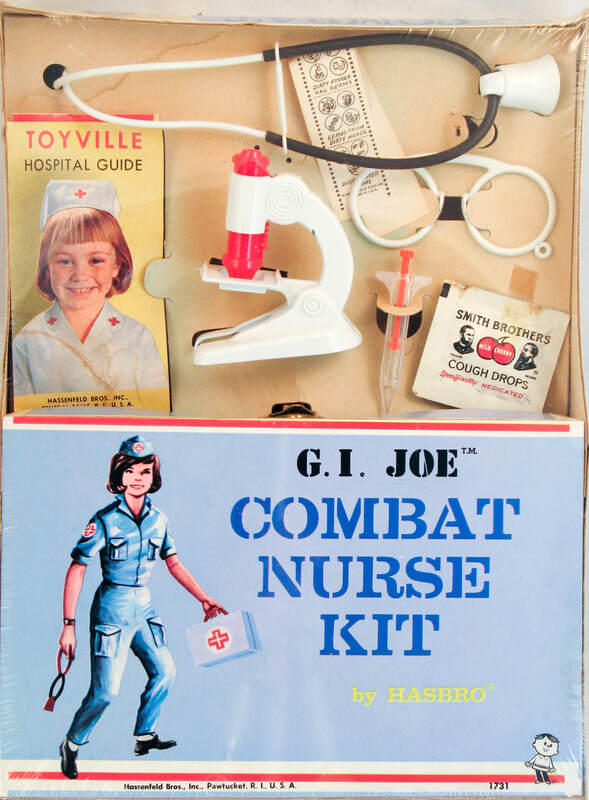 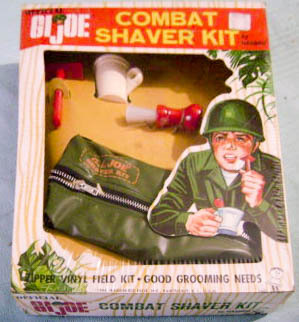 Below, one the earliest of the Medic kits that included a helmet. 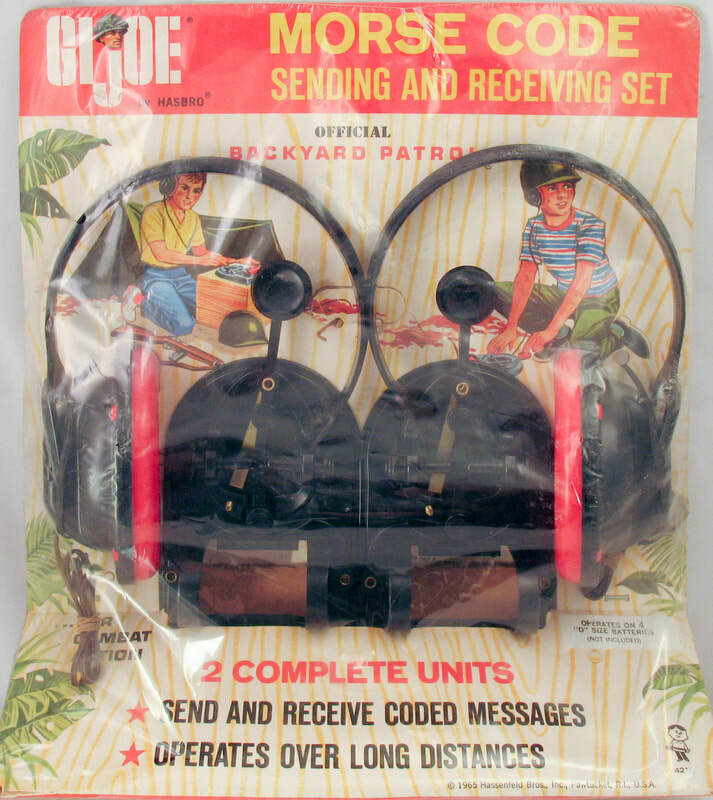 I am unaware of another example in this packaging style, which may have been shrink wrapped. The packaging here has some restoration. 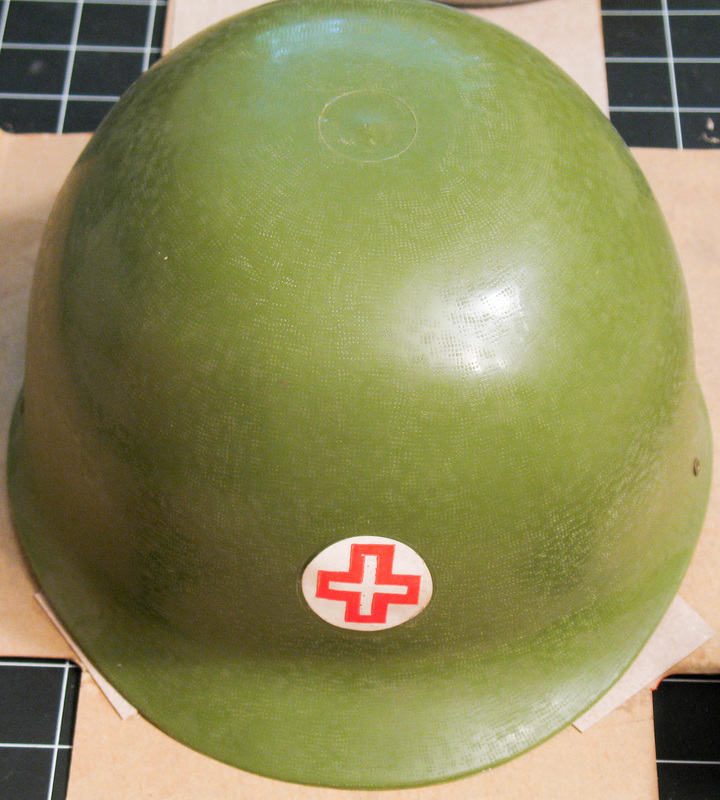 The helmet has the Hasbro boy mark inside and a textured surface. 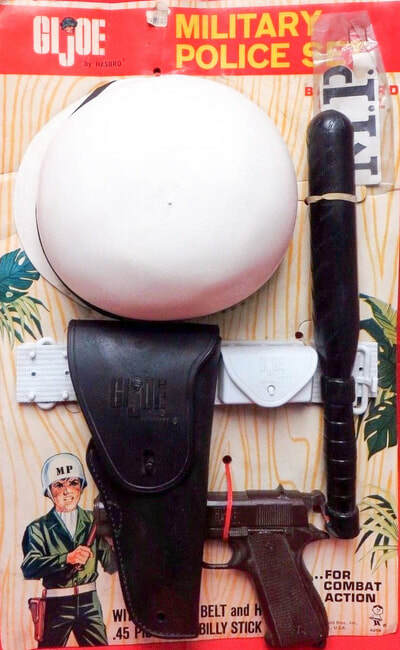 It's the same helmet as the BYP version, just lacking the camouflage. 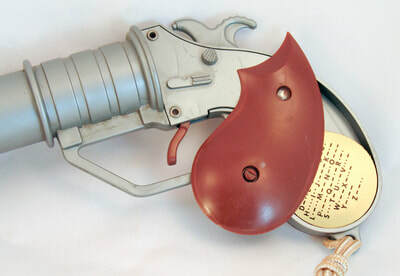 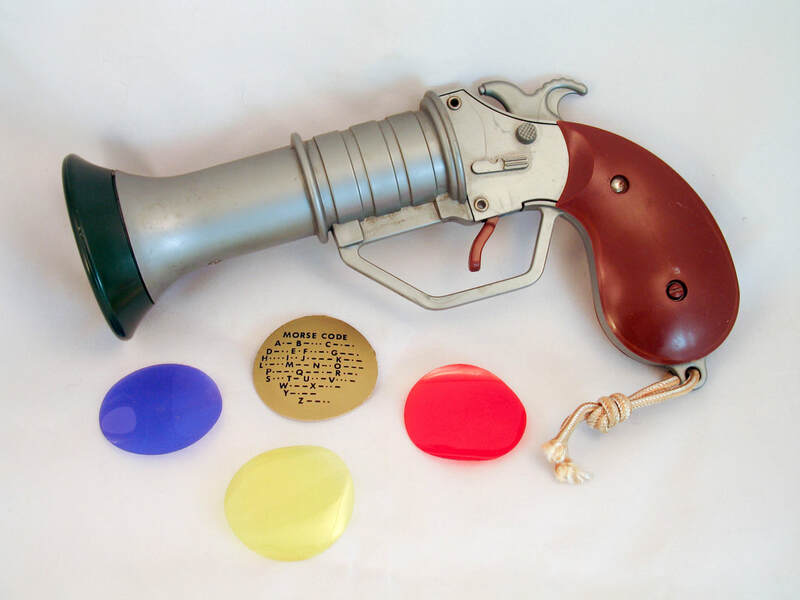 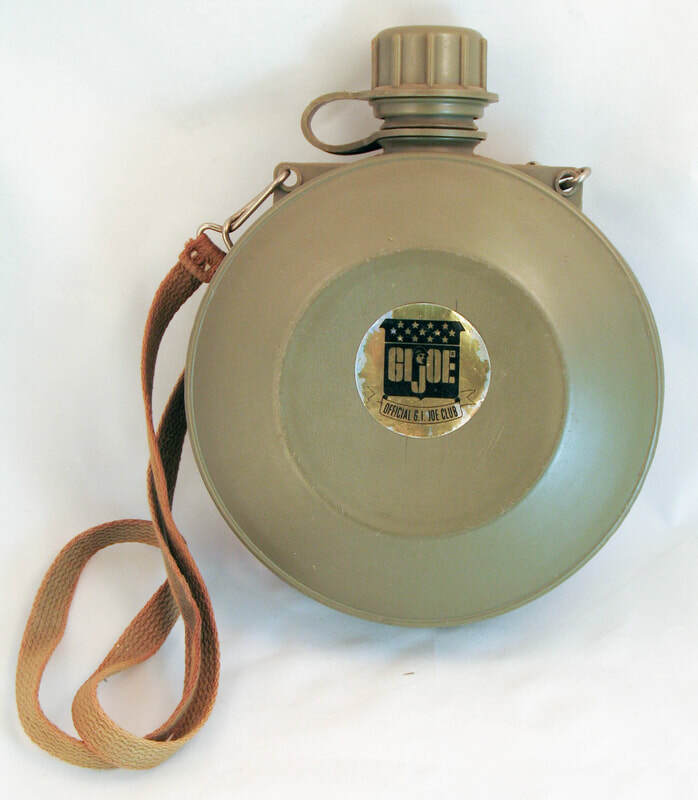 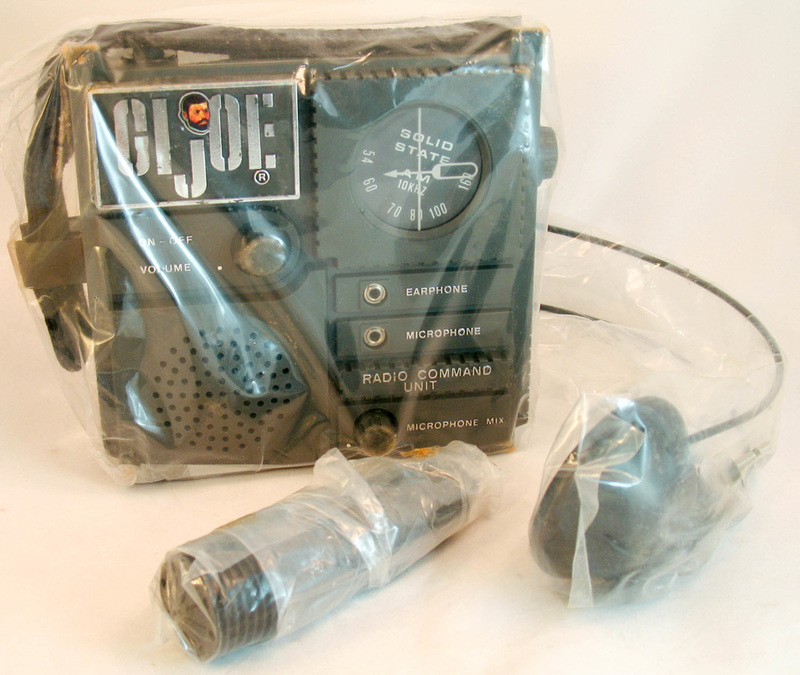 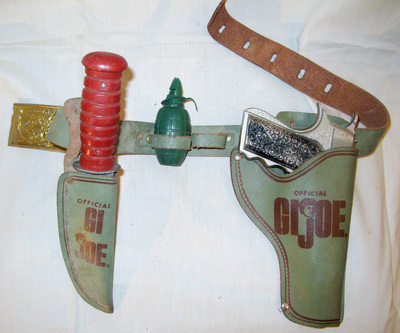 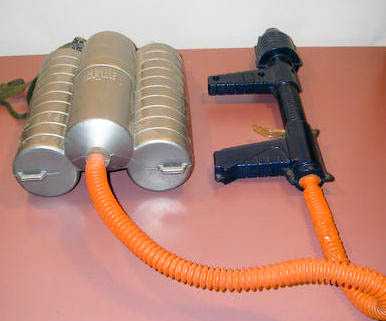 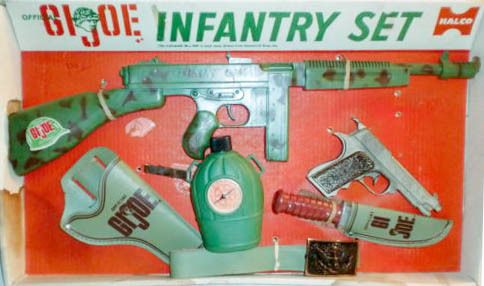 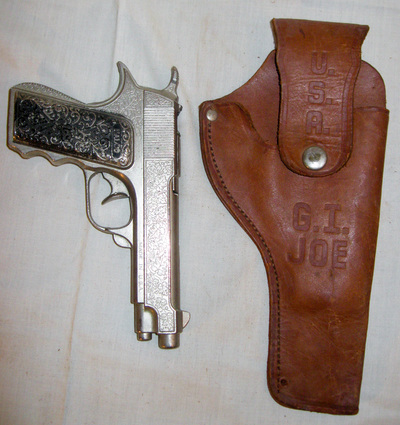 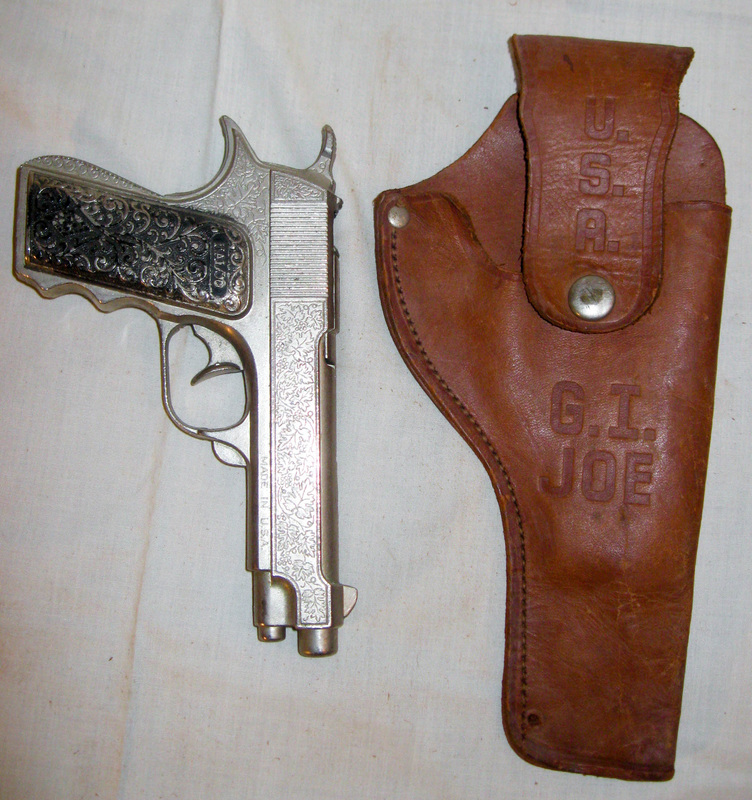 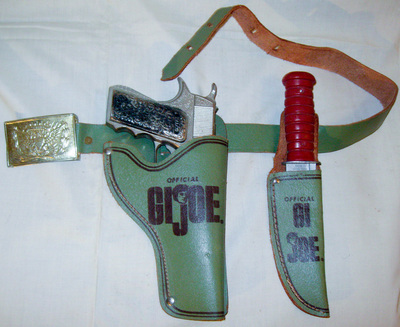 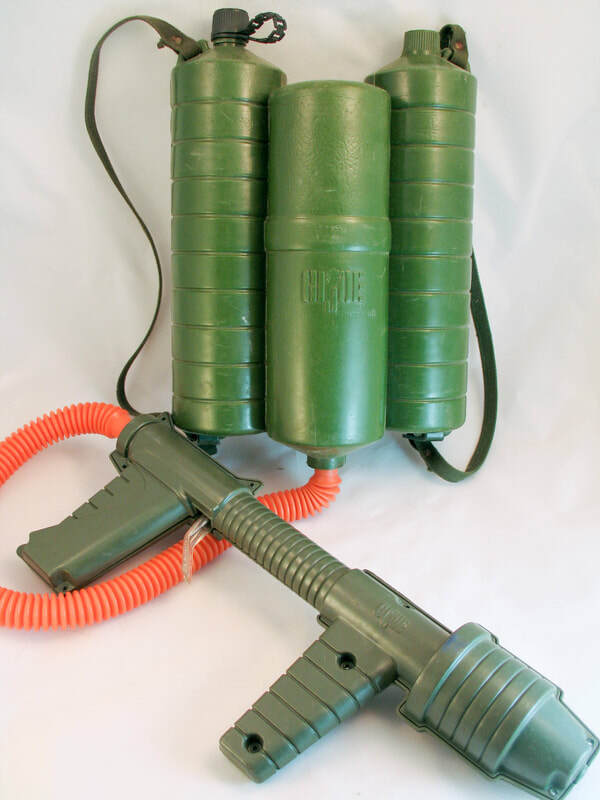 Halco manufactured a 'GI Joe' cap gun in the late 1950s before Hasbro introduced the action figure, which may be the reason they ended up with the license to create "Official GI Joe" ones later. 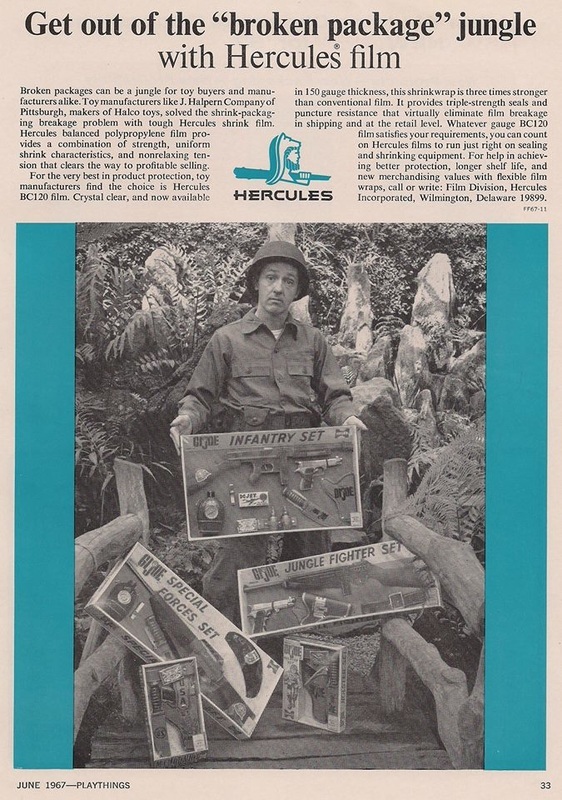 Halco also had the concession for GI Joe costumes and playsuits in the early days. 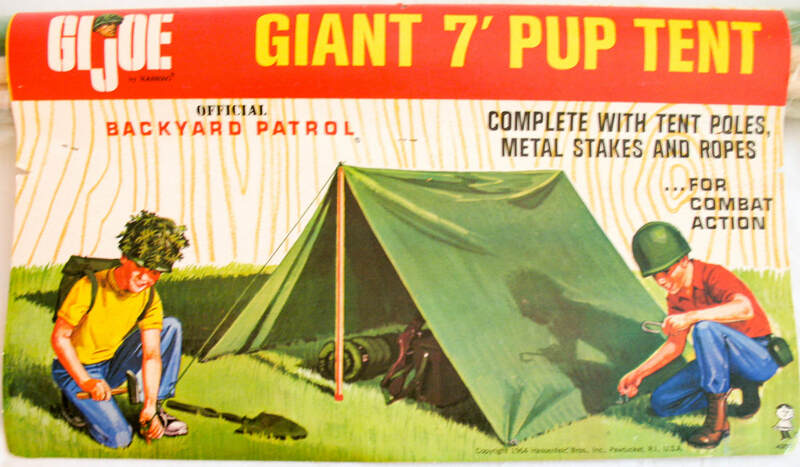 Click images below to see larger versions! 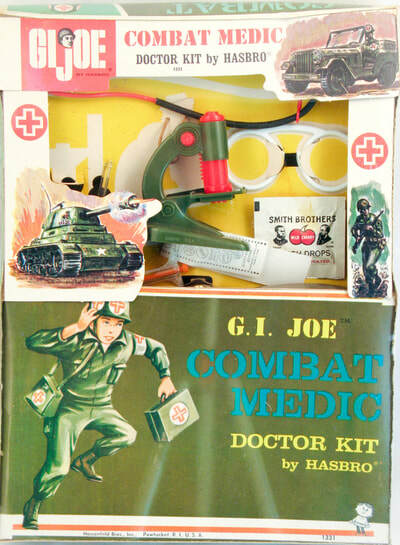 If you have examples of other boxed Halco sets, please contact me! 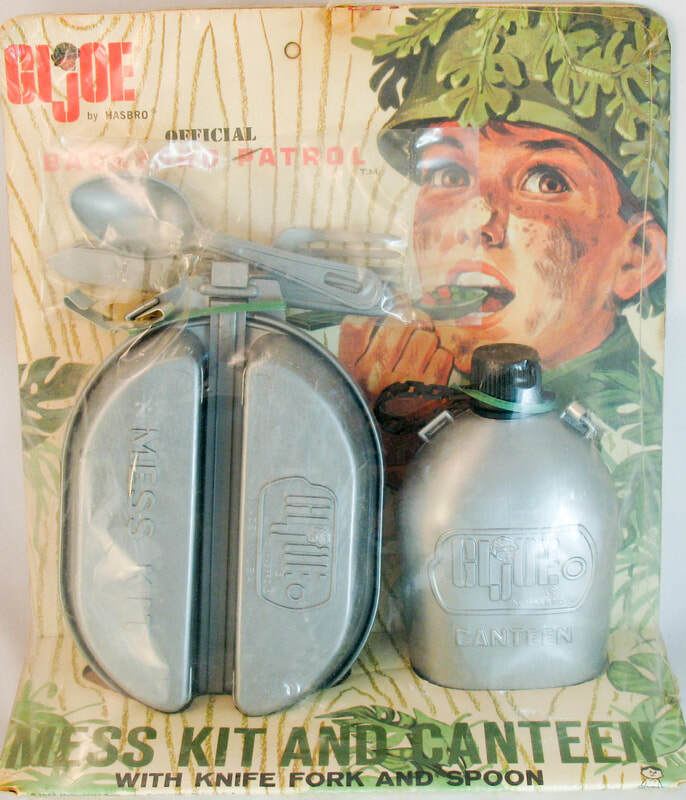 A tough-to-find Halco Paratrooper Set above, and two vintage advertisements for it below. 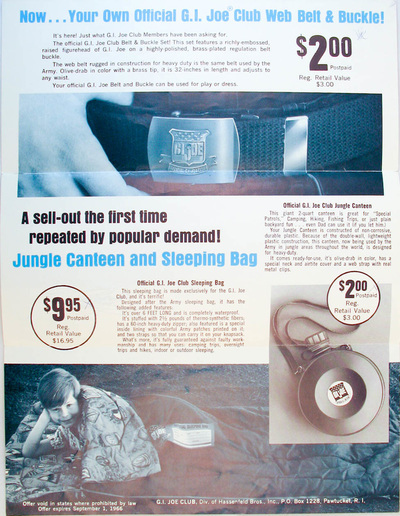 Ad images courtesy of Les Batten. 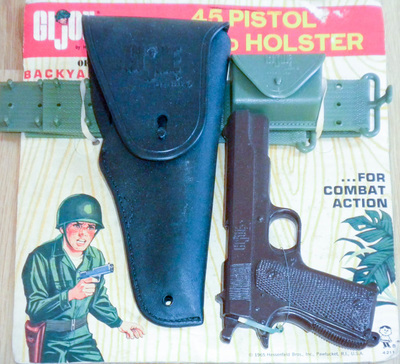 The wallet below right came with the Halco deluxe Infantry set. 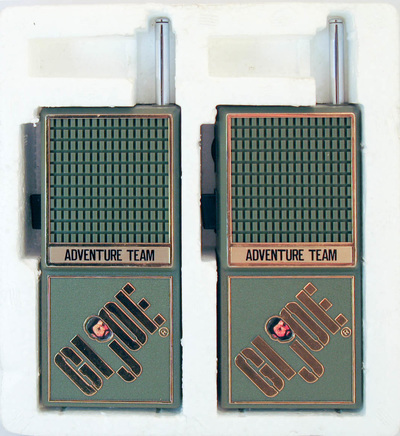 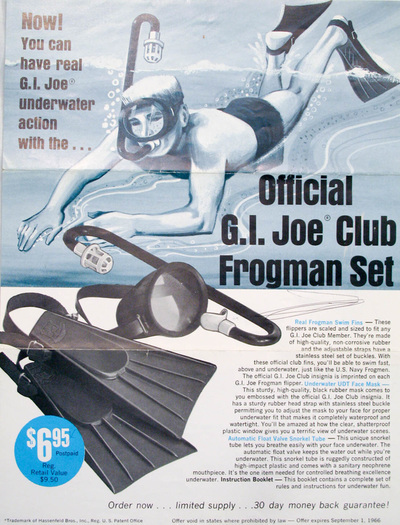 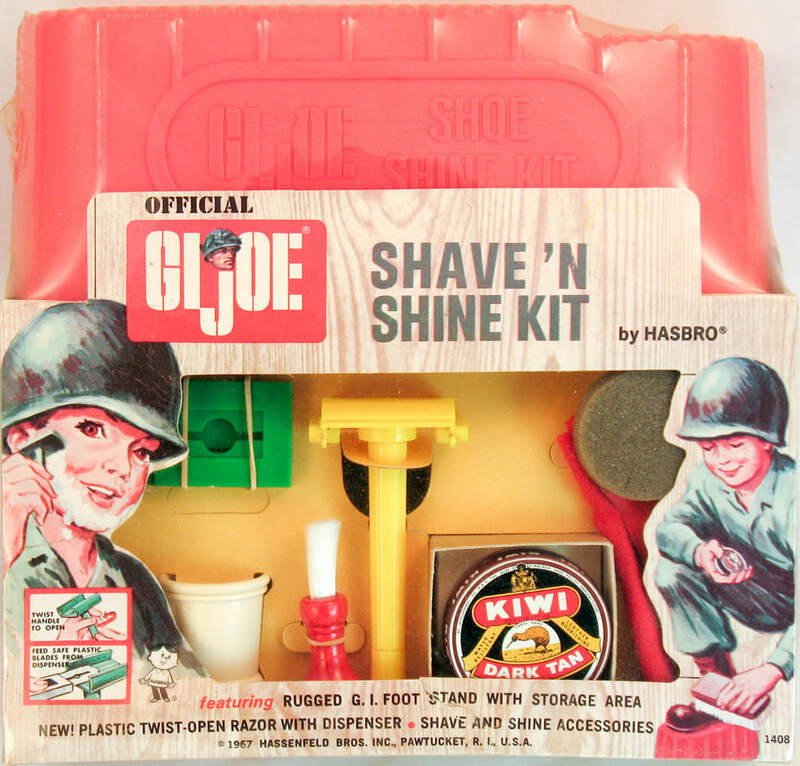 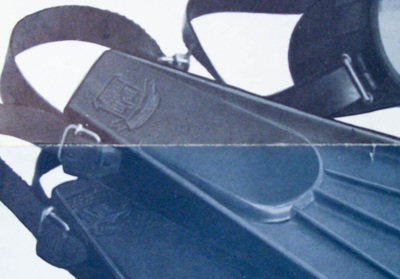 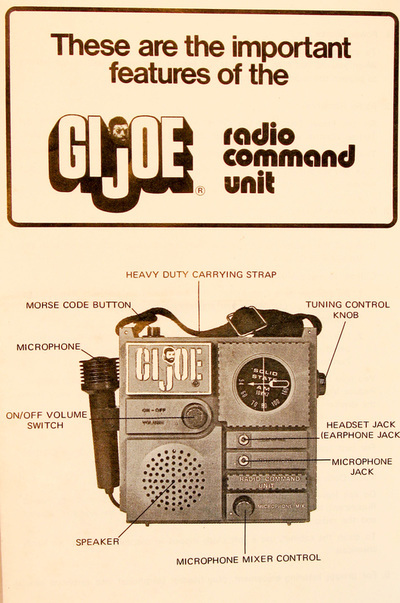 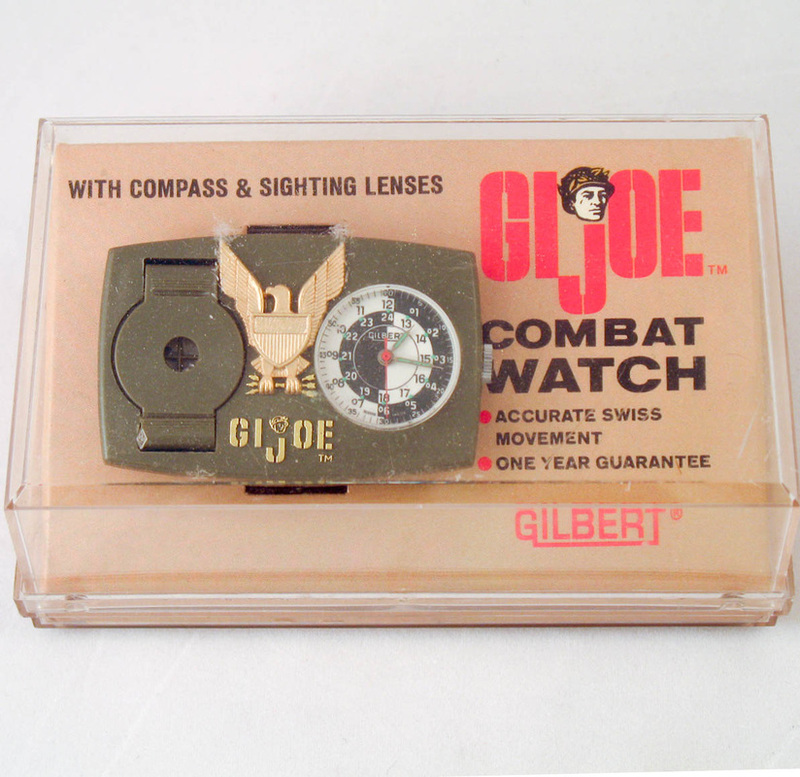 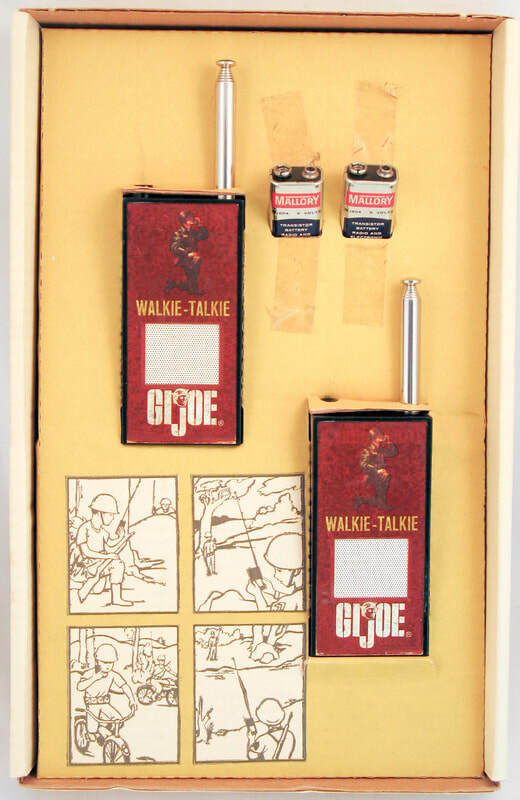 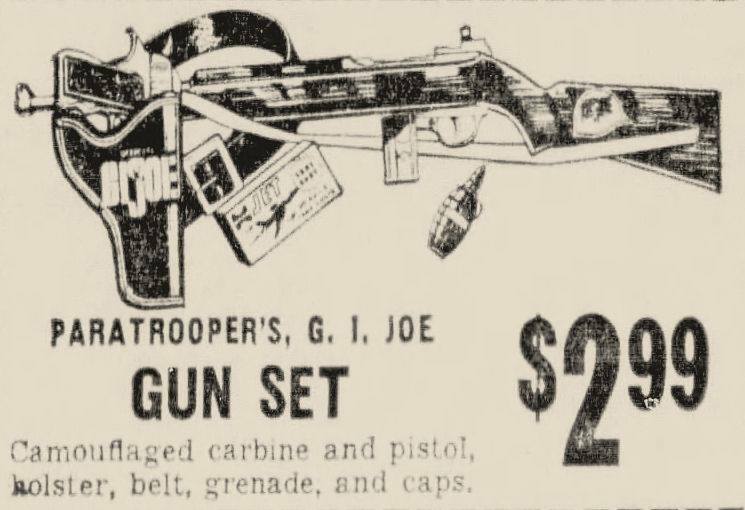 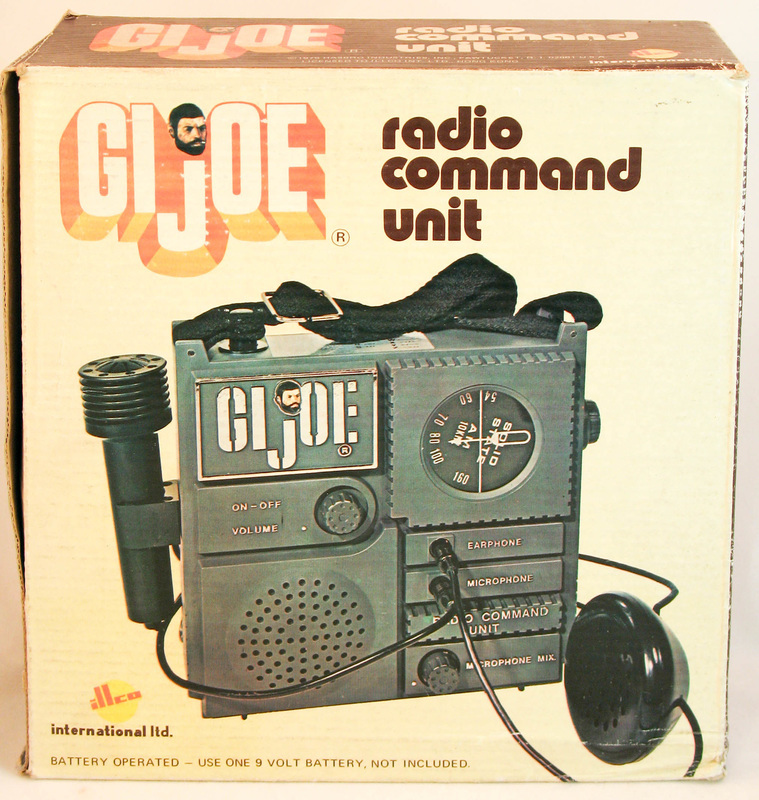 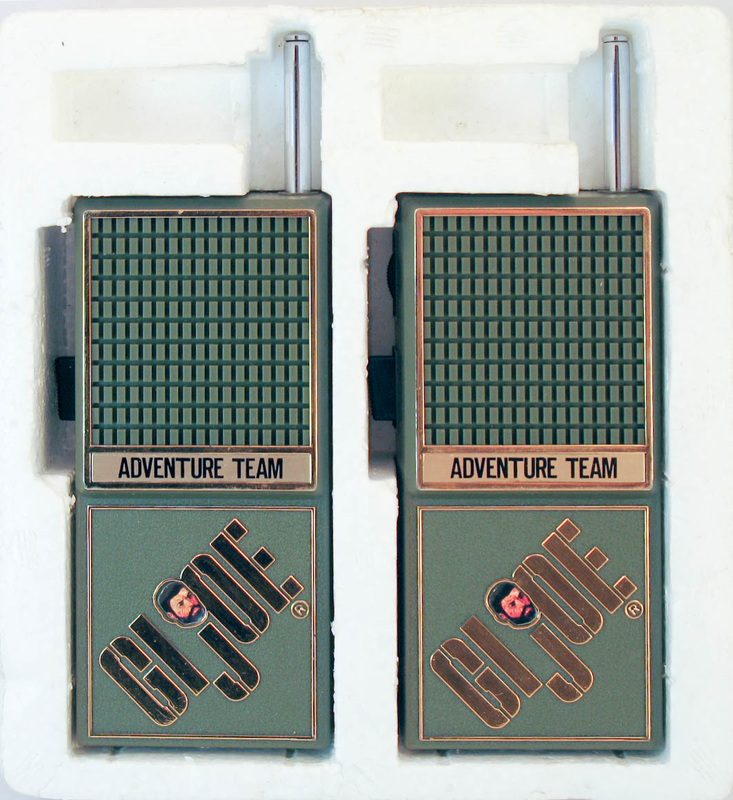 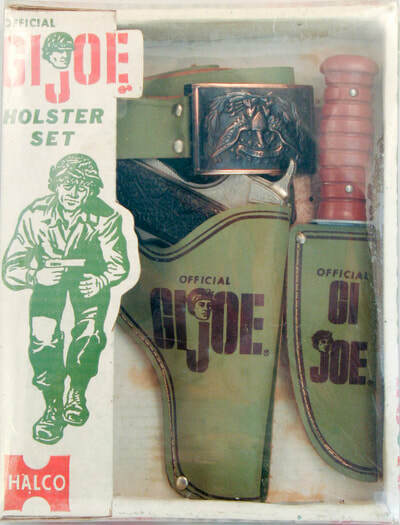 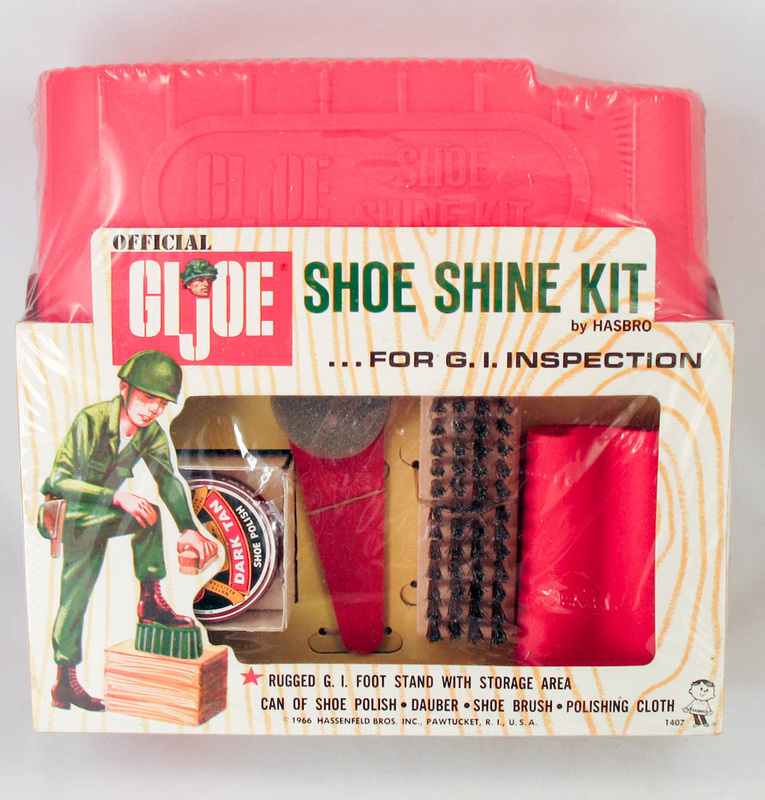 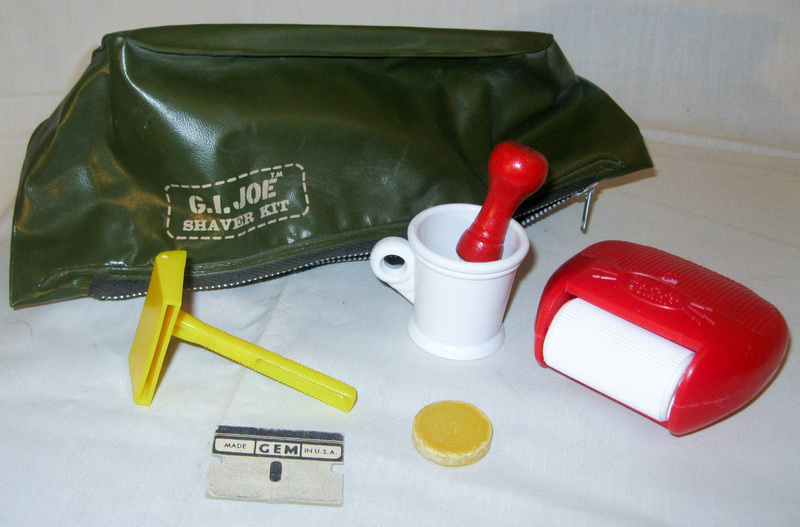 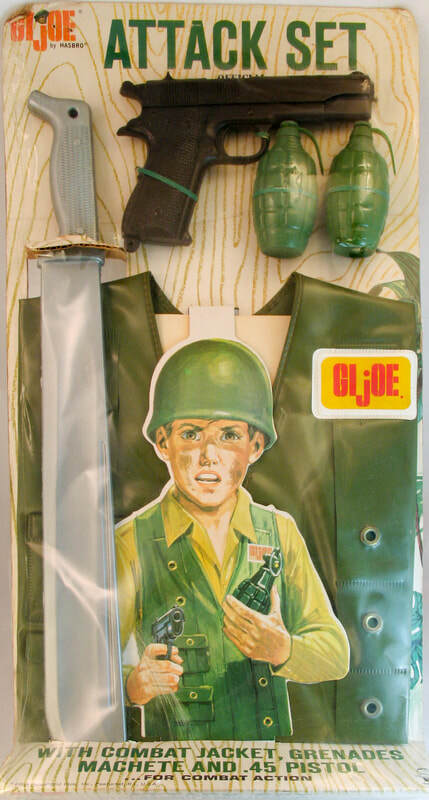 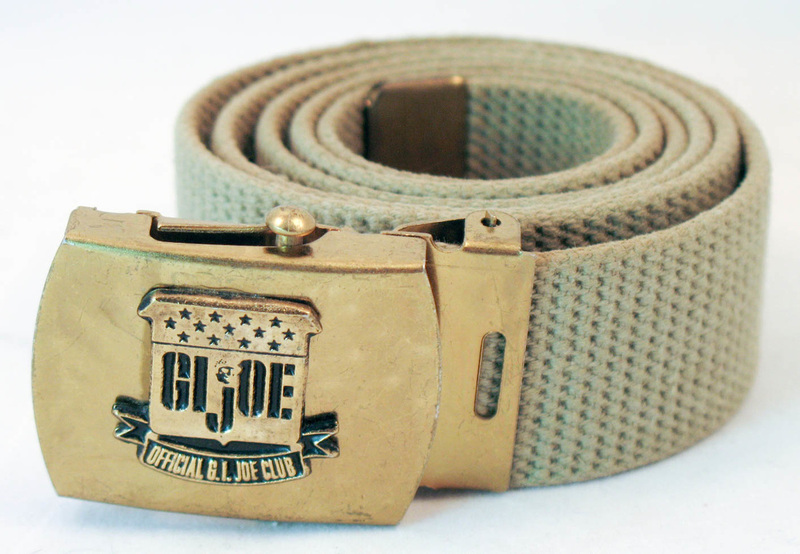 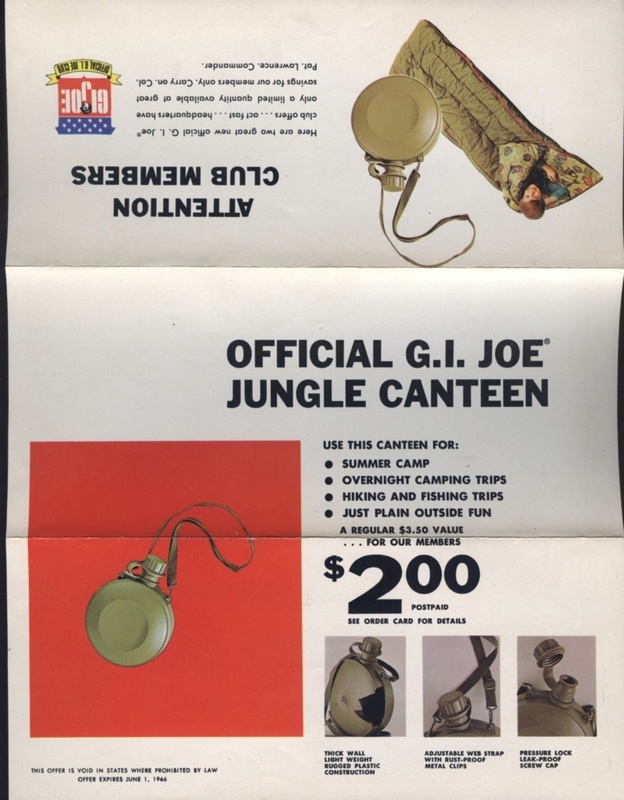 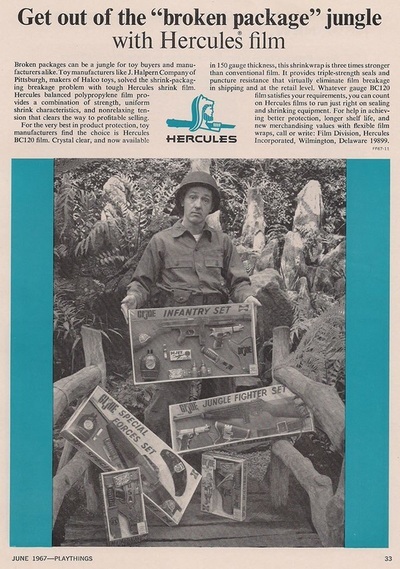 The GI Joe Club promoted kid size items with direct mailings to club members. If anyone has an example of the snorkel set shown in the mailer, please contact me! 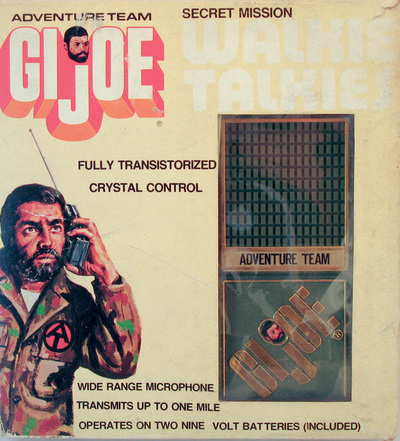 Few things are more fun that talking to your best buddy on a walkie talkie! 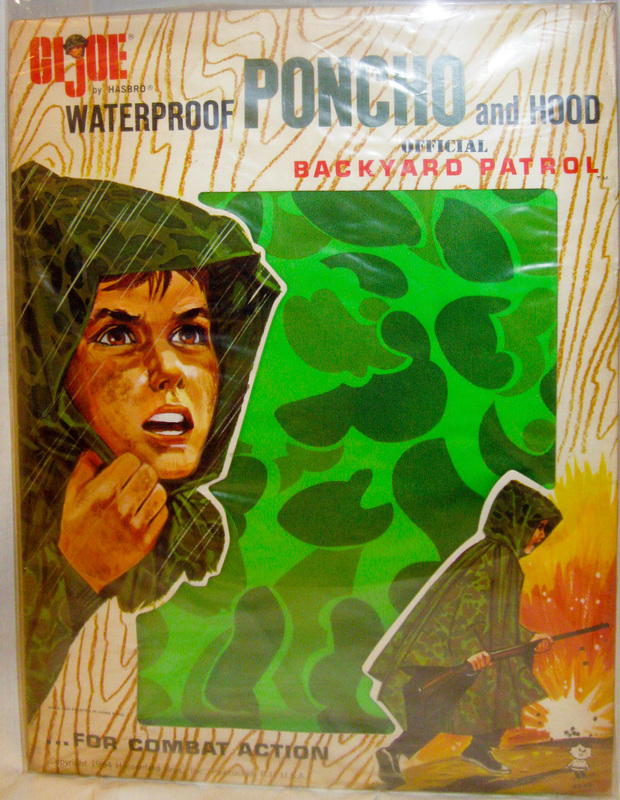 Hasbro authorized a rare set in the 60s from Gabriel, and again with an Adventure Team theme on the 70s from Ilco. Gilbert made a number of cool licensed watches in the 60s, the James Bond 007 one being among the most desirable. 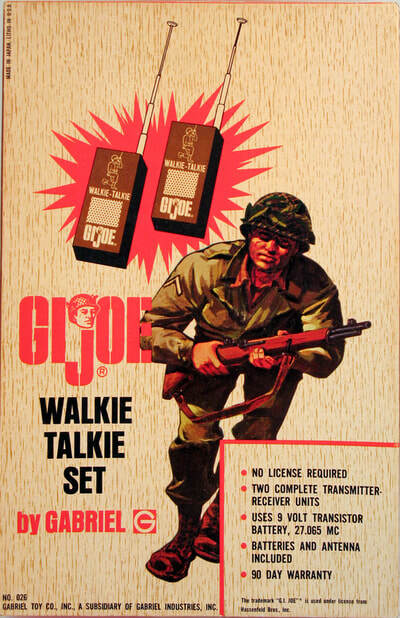 Their GI Joe version is a favorite with collectors. It would be a monster strapped to a kids wrist. There are several jewelry sets illustrated in the 1966 Hasbro Toy Fair catalog. 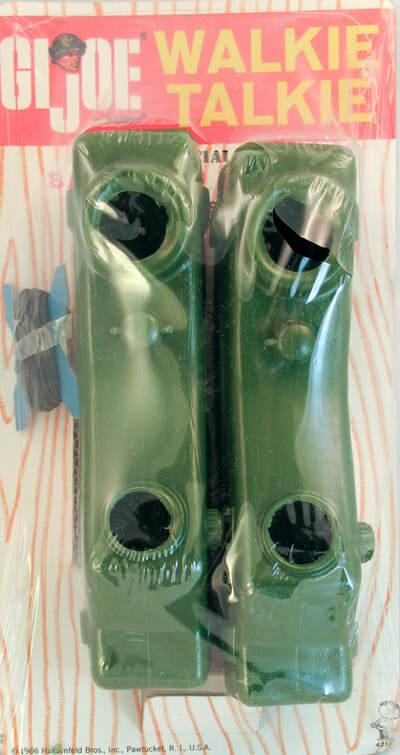 They are very unusual to find today.